Celebrity Chef Judge Ben Bayly, Nan Wang, Pie Bakers Lovepreet Uppal and Brett Ainsley, NZ Bakels MD Brent Kersel, Lay Phan Ho and Supreme Award winner Patrick Lam. 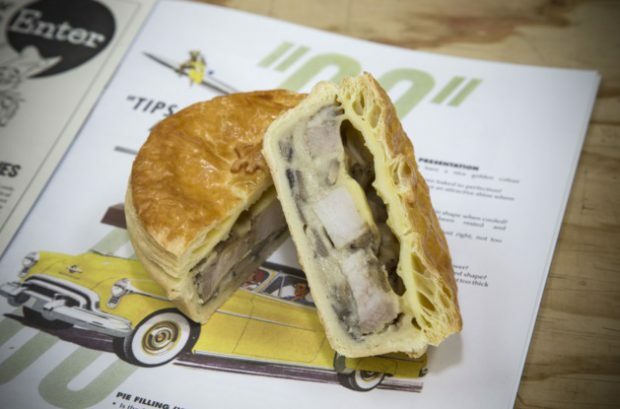 Patrick Lam of Patrick’s Pies Café and Bakery in Tauranga has won his sixth Bakels New Zealand Supreme Pie Award with a Roast Pork and Creamy Mushroom pie in the Gourmet Meat category. 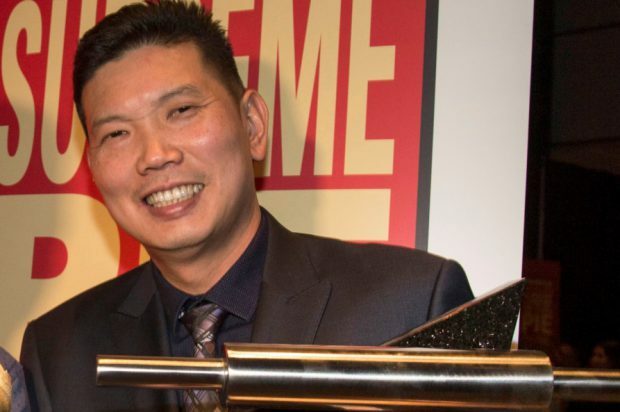 Lam wins a cheque for $7,500 and the coveted New Zealand Bakels Supreme Award Trophy as well as $1000 for each of the three Gold Awards he has won. The Award was announced in Auckland on July 31 at a 1950s themed gala dinner attended by bakers from all over New Zealand keen to find out who among them would win the top accolade. “As the 2018 Supreme Pie Award winner, there’s a lot that I can say about Patrick: dedication, consistency, passion. He has come back year after year and he just keeps on getting better and better. Patrick Lam of Patrick’s Pies Café and Bakery in Tauranga. 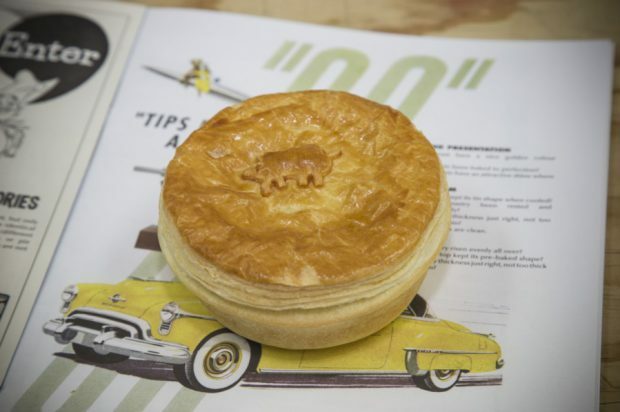 Patrick’s Supreme pie this year went up against 5491 other pies at judging in Auckland on July 26. It had to beat 275 other Gourmet Meat category entries through rigorous quality control tests before even being tasted. Once the Gold Awards in the 12 categories are decided, all but the Café Boutique category go on to the final judging round. Five of the best pie judges in New Zealand, including this year’s celebrity chef judge, Ben Bayly then judge them from scratch to choose the Supreme Award winner. Supreme winning odds 1 to 5490! “Particularly in the Gold Award winners, but even leading up to that stage, we noticed the level to which the pies were finished; the quality and consistency; the glaze on the pies and detail that was put into them. I don’t think I’ve ever seen it to that level before. The Medal Winners in the 2018 New Zealand Supreme Pie Awards included Dad’s Pies in Silverdale, Couplands Bakeries in Christchurch, Gourmet Foods in Tauranga and New World Kapiti.